Our Graphic Design ProcessLearn how our team works and what to expect once you have purchased a graphic design project. 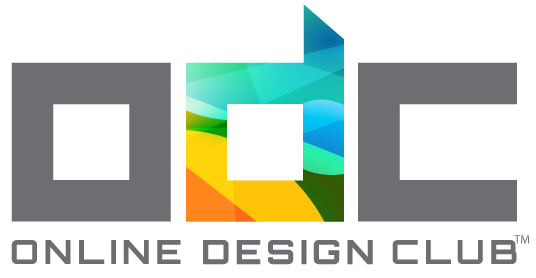 At the Online Design Club, our graphic design process has been developed over time on thousands of projects to assist in providing your company the best in class graphic design and project management experience. Once you have purchased one of our design projects, a project manager will be in touch within that business day for an introduction. It’s our project managers job to take the time to get to know you and your project expectations so that those details can be clearly communicated to our graphic design team, and reflected within the project. Within each graphic design team, we have a creative director that will ensure your project is delivered on time and of industry leading quality. All of our graphic designers, illustrators, and website developers combine their artistic perspectives to result in an industry leading, unique design. Our team is dedicated to your deadline and able to deliver on time, every time. Once we receive your feedback on a project, our team will make those changes within one business day. We are always ready to assist with any short notice projects that might need extra attention. Our team is here to assist with any of your business marketing needs and looks forward to serving as your trusted partner. Also, feel free to contact us if you have a custom design request that is not listed on the website. Select the design project you would like located in our graphic design shop. Once you have added your item to the cart, checkout for the project directly on our website using our secure online payment processing, provided by PayPal. Or if you prefer to pay via PayPal we have that option as well. 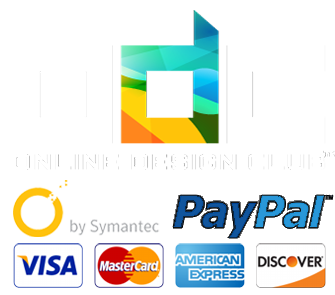 Once the payment is processed, you will receive an email with your purchase receipt. This will also be sent to our project manager and they will contact you to begin the discussion of your graphic design project. You will receive a brief survey that will allow our graphic design team to better understand your company, industry, competitors and business objectives. It is important that you let us know any specific details during this initial discovery phase so that we can deliver your project expectations. We will use this information to complete industry and competitor research, then start initial design comps based on your business goals. Once you have completed and returned the graphic design questionnaire mentioned above, you will be contacted by your project manager. The account manager is your personal point of contact to answer any questions and deliver any direction needed directly to the graphic design team. A delivery date of your design comps will be scheduled within 3 – 4 days and provided to you so that you know exactly when to expect your customized design comps. For Image retouching, this is only 1 business day. Initially, you will receive several design concepts, each on crafted in a different way, yet each retaining the core essence of your company. From these, you can let your account manager know which you prefer and why. Although the majority of our clients find the design they are looking for in the first presentation, as we are committed to 100% customer satisfaction, you are entitled to unlimited concepts. Within two business days, we will send you another presentation until you are completely satisfied. Once you have chosen a design concept, we will send 4-7 versions of that original concept, within one business day. These revisions are improvements based on the initial design including the changes provided after initial design presentation. Changes take place until your team is 100% satisfied and ready for delivery. This process typically takes no more than 2-3 days. You can expect a 100% custom logo design completed in about 10 business days. Once your 100% satisfied with your design project, let your project manager know you are ready for delivery of final files. Your files will be delivered ready for print in vector format, a file that allows you to scale the design as large as needed without affecting quality or clarity. The vector file will come in full color (Pantone or CMYK). A jpg file ready for web use will also be provided. All designs are 100% unique, and your company will have copyright for those designs.